She was named for bachelor-President James Buchanan's niece, who served as the "First Lady" of his administration. Unique among First Ladies, Harriet Lane (1830-1903) acted as hostess for the only President who never married, James Buchanan. Buchanan was her favorite uncle and he became Lane's guardian when she was orphaned at the age of eleven. And of all the ladies of the White House, few achieved such great success in deeply troubled times as this polished young woman in her twenties. She had acquired a sizable art collection, largely of European works, which she bequeathed to the government. Accepted after her death in 1903, it inspired an official of the Smithsonian Institution to call her "First Lady of the National Collection of Fine Arts." In addition, she had dedicated a generous sum to endow a home for invalid children at the Johns Hopkins Hospital in Baltimore. It became an outstanding pediatric facility, and its national reputation is a fitting memorial to the young lady who presided at the White House with such dignity and charm. The Harriet Lane Outpatient Clinics serve thousands of children today. 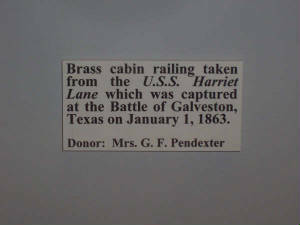 The United States Revenue Cutter Harriet Lane was also named in her honor. Pressure from public and private sources from New York persuaded Congress that New York Harbor needed a modern, fast Revenue steamer. 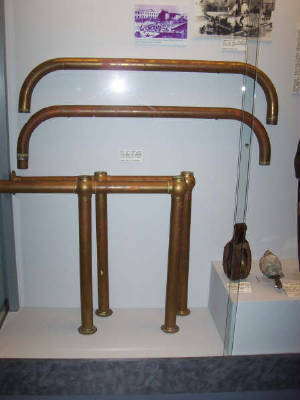 Of particular concern were the slave vessels illegally outfitting in New York. The result of this pressure and subsequent Congressional action was Harriet Lane, an elegant, 180-foot brigantine-rigged, 674-ton side paddlewheel steamer. She was designed by Samuel Pook and built by William Webb of New York for $140,000. Harriet Lane had a remarkable career. She participated in the punitive expedition to Paraguay in 1858, transported dignitaries, including the young Prince of Wales (later King Edward VII) in 1860, and sailed with the expedition to resupply Fort Sumter in 1861. She is credited with firing the first "naval" shot of the Civil War. She was permanently transferred to the Navy in September 1861, and was eventually captured by Confederate forces, converted into a blockade runner and renamed Lavinia. After the war, Revenue Captain John Faunce, her first commanding officer, found her in Cuba and returned her to New York. Here her engines were removed and she was converted to a barque-rigged sailing vessel. She was sold to a lumber merchant, Elliot Ritchie, who named her after himself. She was abandoned off Pernambuco, Brazil, "water-logged," in the spring of 1884. There are no known photographs of this famous U.S. Revenue Cutter Harriet Lane.